Participation in caregiver support programs smooths interactions between adult children and aging parents. Positive caregiving relationships influence quality of daily care and overall well-being. As adult children become more involved in caregiving roles for aging parents, cooperation is beneficial. Conflict and a lack of cooperation results from differences in goals identified through caregiver support group discussions. Adult children perceive aging parents as stubborn. Being stubborn is defined as insistent, resistant, refusing to listen to concerns, ideas, or recommendations. Goal conflict most often results from adult children proposing solutions without involving aging parents in a prior goal discussion. Aging parents resist suggestions for many reasons. Criticizing about doing something wrong, or failing to do something, for example: keeping the house clean, taking care of the dog, etc. Focusing on the negatives of a care situation is rarely a path to cooperation. More important is creating a positive environment to focus on a path that supports well-being and quality of life. This type of caregiving relationship requires cooperation and ongoing discussions with 50/50 participation. Equal, or 50/50, participation means that adult children and aging parents participate as equally as possible in care discussions and actions of care. This level of cooperation supports independence versus dependence. When adult children view their role as one of control, aging parents may respond with behaviors viewed as stubborn. Taking away an activity, rather than problem-solving a safe alternative, results in aging parents becoming more dependent on adult children caregivers. Maintaining positive self-esteem is important for caregivers and aging parents. The majority of older adults want to remain living in their homes as long a possible. Adult children caregivers desire to support this goal. This is an area where direct conversations about negatives or weaknesses may result in upset or arguments depending on how care discussions are initiated. Caregiver support is most effectively offered by beginning a caregiving conversation from a point of concern. Having research or information to support suggestions is also helpful. Opinions are not always viewed positively. Facts, information, and research support recommendations and ideas to maintain independence and well-being. Positive aging is a goal to which we can all aspire. Why live out later years in poor physical or mental health if steps can be taken to live in better health? Goal disconnects arise from negative societal beliefs about aging. Ageism is a belief that older adults are sick, frail, and useless. Many healthcare providers have bought into this idea. A forty-year-old and a seventy-year-old with the same medical diagnosis are treated very differently. My experience is that older adults live well into their 90’s in positive health if they are proactive. Being proactive takes planning and ongoing discussions about managing chronic disease and the home situation. The Centers for Disease Control and Prevention confirms that 40% of older adults have two or more chronic diseases. These include heart disease, cancer, chronic lung disease, stroke, Alzheimer’s disease, diabetes, and chronic kidney disease. Failing to talk about and be realistic about the consequences of being diagnosed with chronic disease is a path to becoming more ill and frailer with age. Choices exist about ways to manage a disease that includes taking proactive actions to minimize the effects of the disease. Others may choose little or no action to manage health declines. This is an individual decision. Being practical about home safety and personal equipment is prudent. Ignoring difficulty with walking, balance, and gait is likely to result in a fall or serious fracture. The consequence is moving from the home to a care community. The purchase and installation of home safety equipment is a positive caregiver support activity. Ageism—not wanting to be like “old people” who use a walker—is short-term thinking. There is a difference between a desire to be independent and being stubborn—refusing practical advice. Taking a risk that will result in an undesired move is unwise. Using an assistive device that can prevent a fall and a move from home to a care community supports the mutual goal of independence at home. Early discussions about the type and quantity of adult child caregiver support before a significant care need occurs for an aging parent is important. Talking before situations are difficult establishes relationship equity. 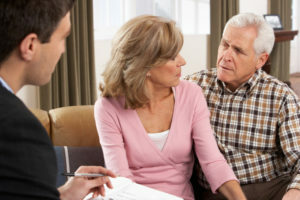 These conversations allow the adult child and aging parent to discuss goals and arrive at a mutual understanding that may avoid potential conflict. In most caregiving situations, an accident or emergency results in this conversation. Conflict occurs because immediate decisions are necessary. Relationships become stressed. Adult children or the aging parent “give up” having the conversation. Avoiding an argument does not necessarily allow one to “let the argument go.” Negative thoughts and ruminating about the discussion occurs resulting in more stress and conflicting feelings about the caregiving relationship. 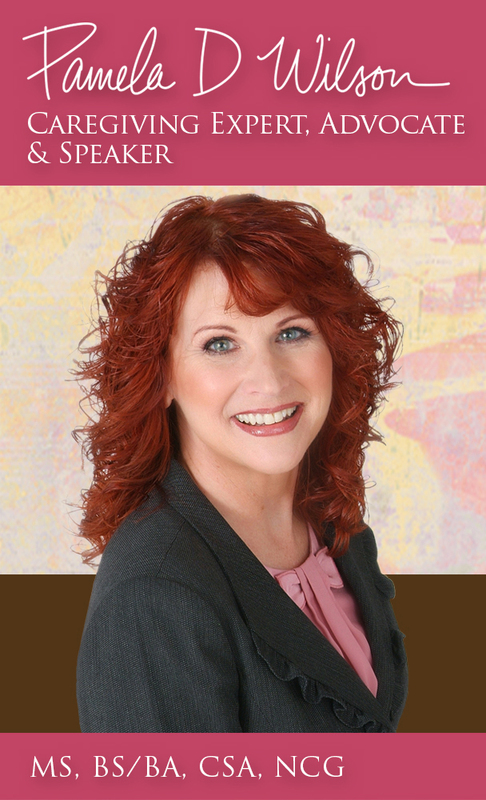 Talk now and talk early to avoid family caregiving conflict. Join a caregiver support group so that you can learn from others and gain confidence to manage the caregiving situation. Caregiver support groups are positive for many reasons. Caregivers feel uncomfortable about expressing their feelings. Many caregivers feel that friends and the workplace are not outlets for talking about family caregiving concerns. Talking in a live group, on-line, or in person, with other caregivers in similar situations provides an outlet for emotional relief. The sharing of ideas from participants of caregiver support groups is beneficial. Solutions are identified for real-life situations. Relief from anxiety, frustration, and overwhelm occurs as caregivers gain confidence. Society’s beliefs that old people don’t deserve treatment can be challenging for family caregivers. Caregiver support is beneficial for managing family caregiving situations and navigating the healthcare system. The healthcare system can be intimidating and biased against care for older adults, especially those with dementia. Family caregivers must advocate for care. By understanding an aging parent’s goals for care, adult children caregivers are in a better position to monitor daily care, communicate with the healthcare system, and advocate with service providers. Daily care needs will be met and quality of life will improve. Interested in searching for information by caregiving subject? 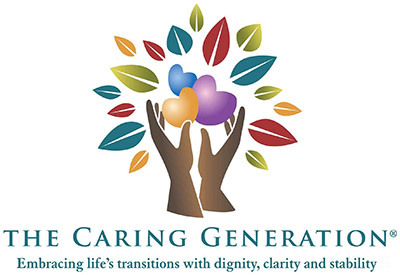 Subscribe to my FREE Family Caring Generation caregiver library. My book, The Caregiving Trap: Solutions for Life’s Unexpected Changes features practical tips and real solutions. If you prefer to watch short videos, check out my family video playlist of short videos about practical solutions for many caregiving concerns.